Showing Making – how is craft represented? 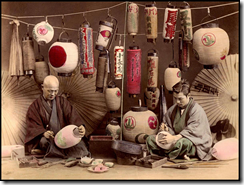 T. Enami, The Lantern Painters, hand-tinted lantern slide, c.1892–5. Reproduced with kind permission from Rob Oechsle, t-enami.org. The consumption of craft extends beyond the enjoyment of beautiful handmade objects. Photography and film disseminate a theatre of craft process for audiences to appreciate not just the skill of the artisan but also its idyllic context. 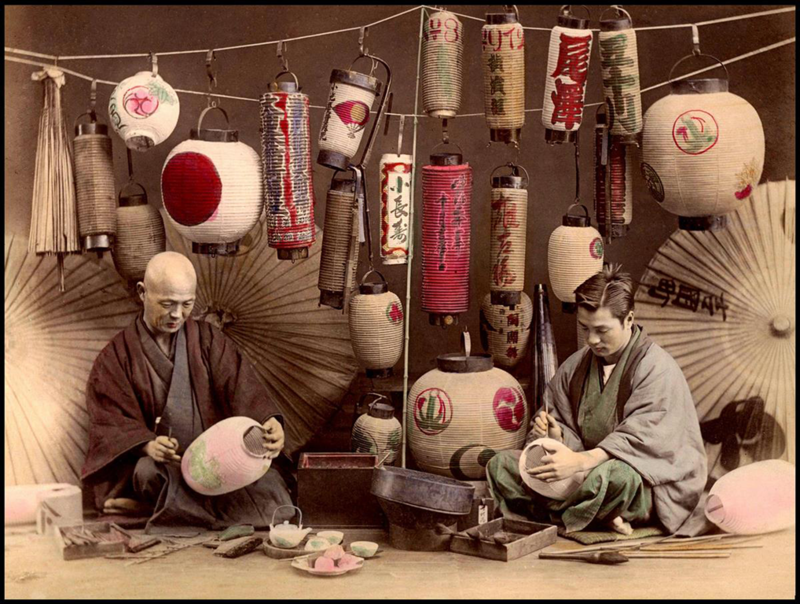 To what extent do these representations determine the meaning of craft in modernity? This issue is an opportunity to consider the conventions employed in the depiction of craft, and maybe glimpse an alternative reality behind the scenes. This entry was posted in Responses and tagged Japan, representation by Convenor. Bookmark the permalink.